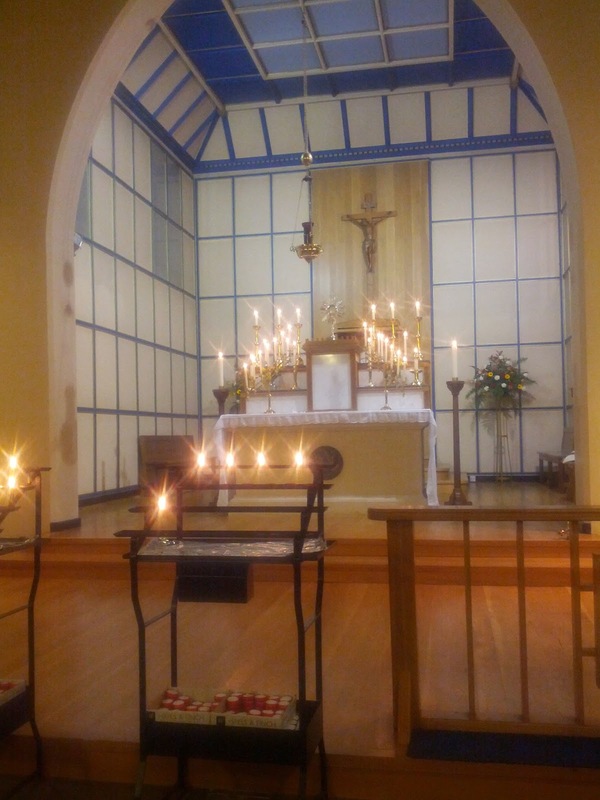 For the past few years, we have had the Forty Hours devotion at Blackfen and I have come to love it as a powerful blessing for the parish. This year I tried to encourage people by saying that everyone in the parish should come, even if only for five minutes. I think this worked: of course people who come for five minutes stay longer or come for one of the Masses, benefiting from the beautiful music and ceremonies that are taken care of by my generous and faithful team of servers and singers. The demons, in my experience, often work not so much by spectacular phenomena as by sowing discord among good people, causing arguments in families, and destroying friendships among those who are working for good in the Church. Hence I often encourage people, in the confessional or in sermons, to do small deliberate acts of charity. In secular terms, these are sometimes referred to as "random acts of kindness." That's great, but as Catholics, we can make these acts non-random and supernatural. By consciously determining to do something kind, with the motive of the love of God, we can do a great deal to confound the spiteful and petty work of the devil. Adoring the Lord, truly present in His body, blood, soul and divinity in the Blessed Sacrament, and invoking the prayers of the Blessed Virgin Mary, the holy angels and the saints, we are fortified to make our own relationships more holy, more charitable, and more fruitful. And that is the start of making the world a better place.